Quack! Quack! Who let the duck out? If you are staying in Hong Kong, it is impossible to miss this publicity stunt. Since its first appearance on 25th April, its pictures have appeared in all social and news media. It is even more popular than the H7N9 headlines. 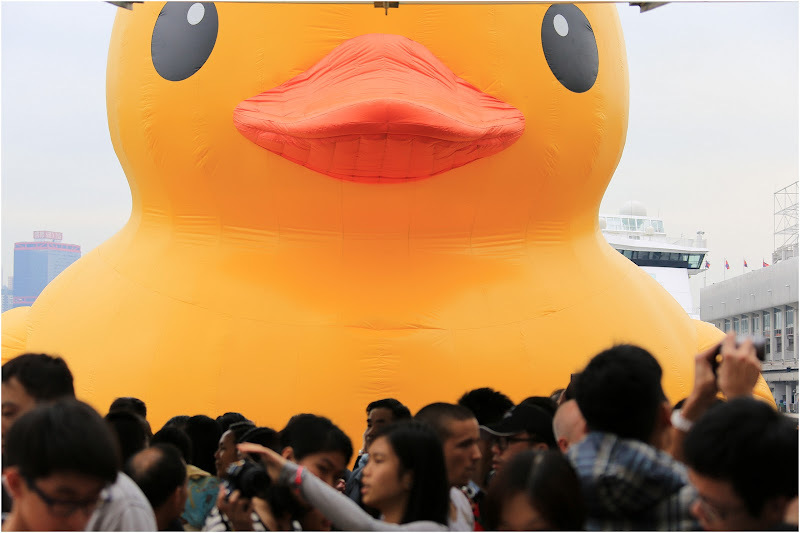 Meet this gigantic yellow superstar “Rubber Duck“ – First popularised by Jim Henson in the 1970s with “Ernie and Duckie” in Sesame Street and brought back to life by Dutch artist Florentijn Hofman, the 16.5m tall inflatable sculpture has drawn tens of thousands to Harbour City since 2nd May. Dubbed for “Spreading Joy Around The World”, the Dutch artist wanted to put a smile on everyone’s face. 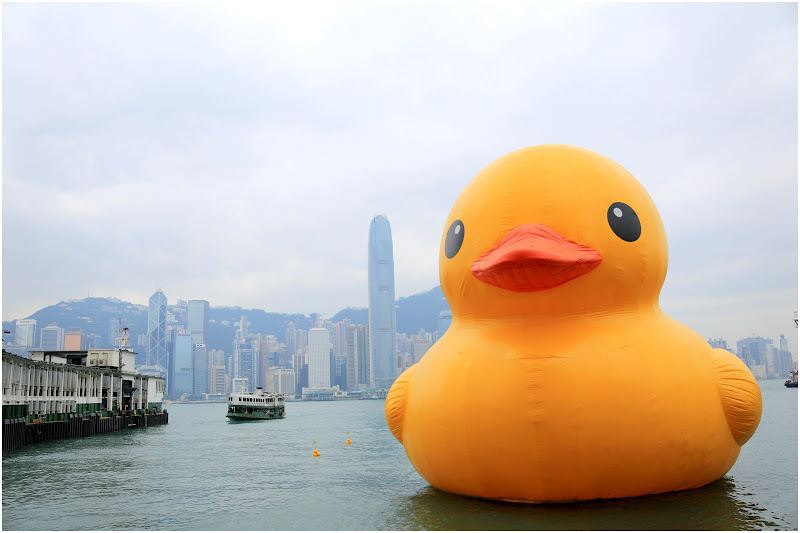 Since 2007, the rubber duck has made appearance at Osaka, Japan, Sydney, Sao Paulo, Auckland, New Zealand, and Amsterdam. It will be at Hong Kong until 9th June (before the Typhoon Season). 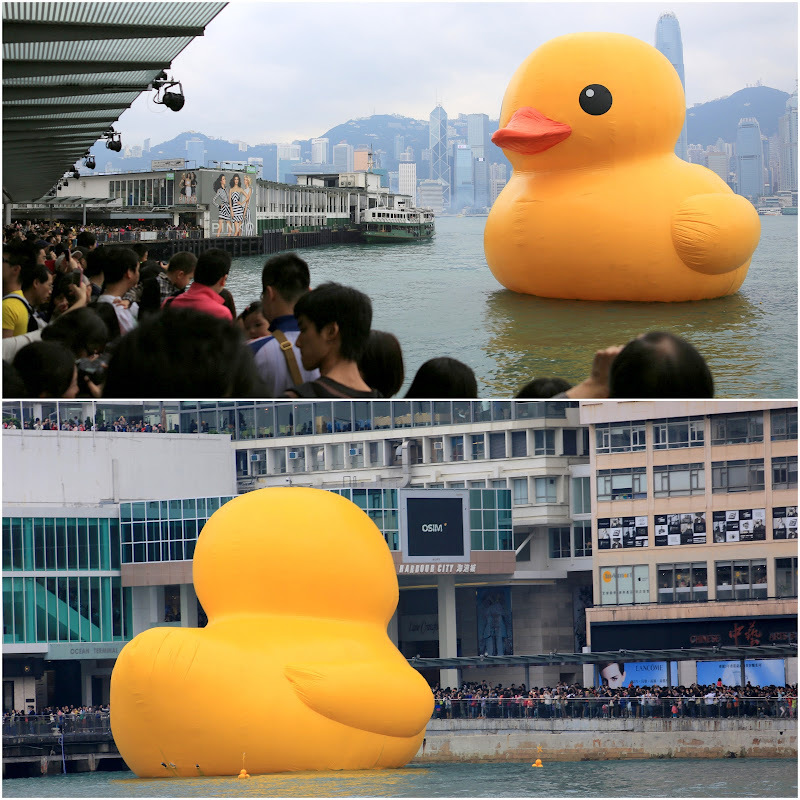 Like the thousands of fans, I popped by Harbour City this afternoon to meet Ducky. It was incredibly packed with people! 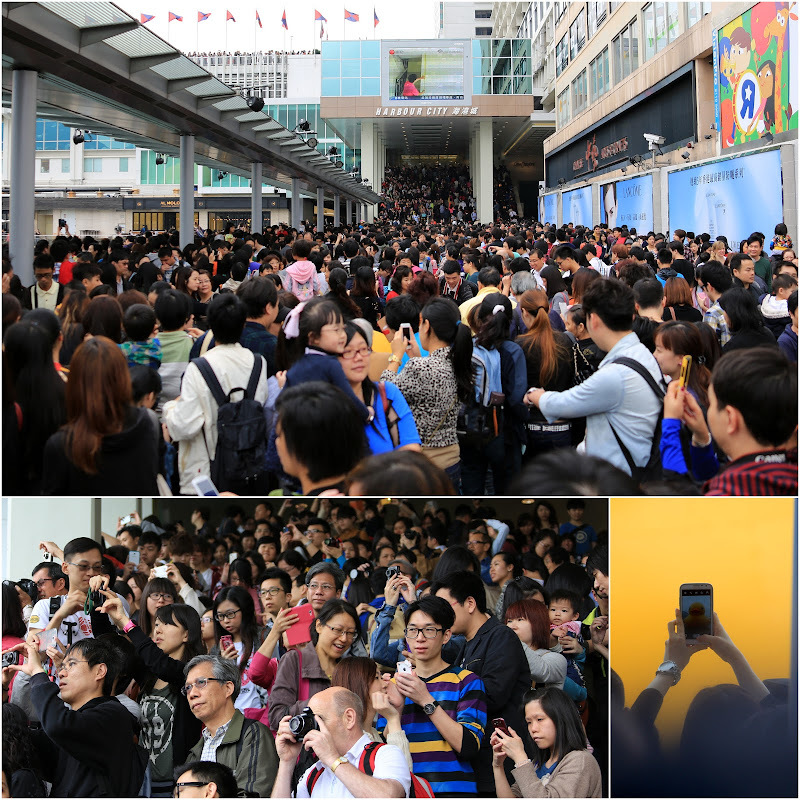 I have never seen such a big gathering like this at Harbour City! It is amazing to witness how a simple idea like this amassed such a big turnout! Afterall, Rubber Ducky is just a common bath toy. It bears no brand or identity. Yet, its symbol of “pure joy & happiness” is powerful enough to draw everyone (of all different age groups and nationalities) here to reminisce with their favourite childhood bath-mate. Ducky never left us, its magic is still in us all this while. Smile. Smile. I can’t wait for it to sail to Singapore!